London: Methuen, . Second Edition. Sixteen illustrations and a map. Map endpapers. Perhaps the best thing about Morton's book on Ireland is its historical perspective. 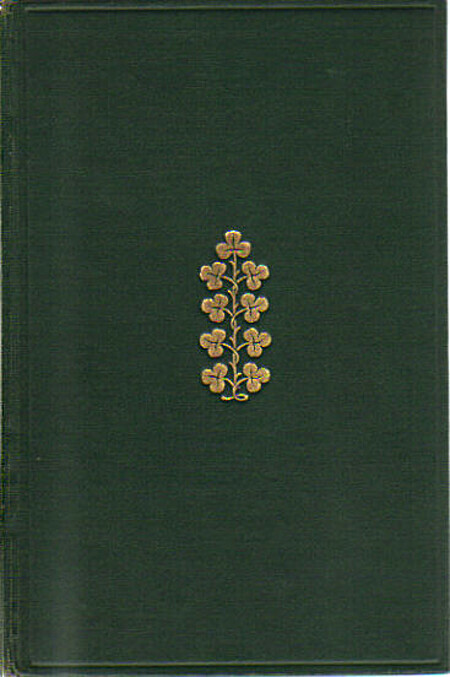 In Search of Ireland was first published in 1930 which was a few years after Ireland had become a Free State in 1922. Morton is seeing Ireland in the early stages of building an independent country separate from the rest of Great Britain. He warns the English in his introduction, "...I must stress the point that the new generation of travellers must approach Ireland with the feeling that it is a foreign country." Morton's humorous and insightful observations about Ireland, as a traveller in a foreign land, are worth reading and re-reading. This is a true story of a love affair. It is a love at first sight for Morton as he visits Saorstát Éireann and hears the mysterious “silent music of the land” as he visits Connemara, Glengariff and the Curragh and Eire’s troubled history. Fascination with the Gaelic tongue induces a longing to understand it more, to be able to sing back an answering verse to the real songs he hears from behind the stone walls. The country wins Morton’s heart rapidly, as do the people and their intense sense of place. Even the animals enchant …including a curious cow who joins a wake…and the “ hens who are all over the world an excitable, suicidal people”. By the end of his book H.V. is so in love with Ireland, and feels so desperately his need to communicate his ardor, and share it with the reader, that he becomes intensely lyrical and even starts to adds a Gaelic lilt to his prose! Fascinating and often beautifully written. Morton doesn't tell all, and doesn't understand all, and brings his beliefs with him as we all do. Nevertheless it is a glimpse into a time and place that remains only in the slimmest living threads and the memories of its people.